With Saracens returning this week for their annual game to the superb Honourable Artillery Company grounds, it is worth noting the relationship between the two clubs goes back over 100 years. The first game between the two dates back as far as the 1900/01 season, with the Saracens ‘Crusaders’ side (effectively the 2nd team), under the leadership of J G Brodie, defeating the HAC “A” side for a rare victory that season. More success was to follow for the Crusaders in 1903/04, when they registered their only double-figured score of the year and then again in 1904/05 when they successfully won by 49 points to nil. Despite this huge victory at home, the return fixture in 1904/05 was to see the HAC notch up their first victory over Saracens. Quite the dramatic turnaround, and indicative of the often wildly interchangeable nature of the teams in the era! 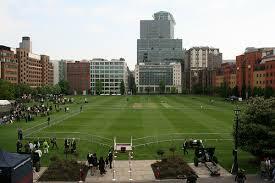 Having been founded in 1896, the HAC was born at a difficult time for the rugby union game. The previous year, the Northern Union had broken away over the issue of broken-time payments, which constituted ‘professionalism’ in the eyes of many. This led inevitably to a paranoia which, at times, assumed almost ‘witch-hunt’ intensity within the sport over the issue of professionalism. The founding of a club from such a venerable background as the HAC would have therefore been most welcome to the ‘purists’ in the game. Whilst HAC had a functioning cricket club since 1725, the rugby club formation pre-dates their association football team, which was founded in 1897. With the club consisting of full-time soldiers, there were no issues over payments or expenses, with sports participation encouraged as a means of keeping fit. Rugby was seen in the era as the ideal training for a soldier,developing both physical fitness and mental qualities of manliness & teamwork. 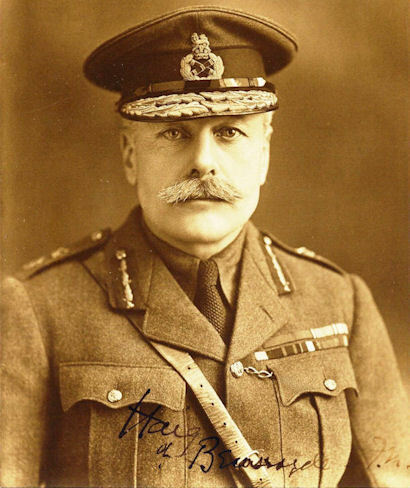 No less a figure than General Douglas Haig, in his speech in March 1914 at Aldershot, stated clearly that “Rugby men make the best of soldiers.” With 90% of the Saracens Club having volunteered for service in the Great War by the end of 1914, Haig had certainly achieved his goal of recruiting a good number of these Rugby men into uniform. We wish Saracens the best of luck this evening, and hope they will be inspired to victory, playing in such a unique and historic venue. FL Pilley – Our North London Saracen from ‘ackney!